Heaton Tennis and Squash Club acknowledges the duty of care to safeguard and promote the welfare of children and adults at risk. The club is committed to ensuring safeguarding practice reflects statutory responsibilities, government guidance and complies with best practice and LTA requirements. A copy of the club’s full safeguarding policy is available on the club’s noticeboard and if you do have a concern and want to report something. Concern reporting forms are available from the Welfare officer at the club. Heaton Tennis and Squash Club acknowledges that some children, including disabled children and young people or those from ethnic minority communities, can be particularly vulnerable to abuse and we accept the responsibility to take reasonable and appropriate steps to ensure their welfare. The club’s policy and procedures will be widely promoted and are mandatory for everyone involved. Failure to comply with the policy and procedures will be addressed and may result in dismissal/exclusion from the club. 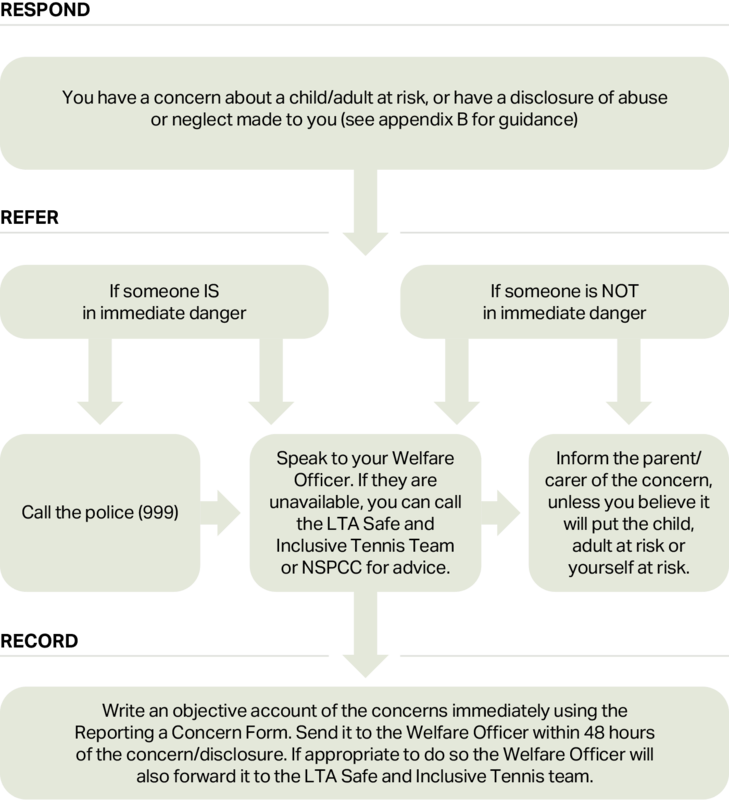 Anyone who is concerned about the well-being of a child/ adult at risk, or has a disclosure of abuse or neglect made to them must report it to the Clubs Welfare/Safeguarding officer. Details can be found on the clubs noticeboard.